First of all, I hate fast food. Just thinking about the bitter, greasy smell that hits you when you walk into a chain restaurant makes me nauseous. But with that said, I won’t leave the answer hanging: Yes. 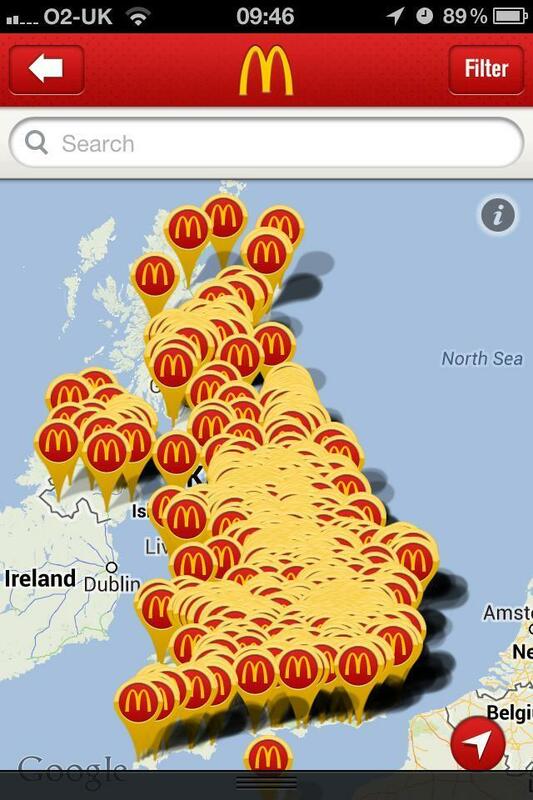 Weirdly, there may be hope for McDonald’s. 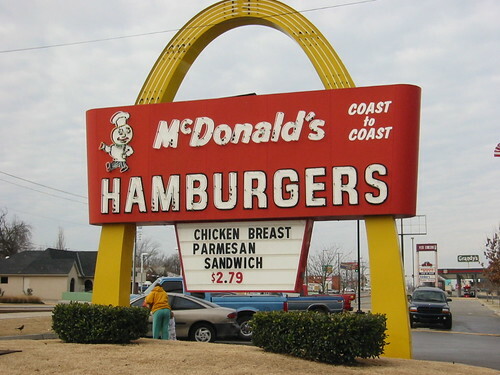 It’s no secret that the golden arches has had it’s ups and downs the last few decades. The obesity epidemic in the US has changed public perception of fast food. New fast-casual restaurants are pulling away customers. But the biggest culprit, according to Ashley Lutz, is millennials. There are a few hurdles for McDonald’s to overcome in aligning their approach with millennial values. Health-Consciousness: Millennials grew up with a rising awareness of the obesity epidemic in the US. McDonald’s was the main enemy in the now ten years old documentary Supersize Me. At the end of the day though, many millennials still aren’t really on the health bandwagon, but they do go for the “better-than-straight-up junk food” option. The reality is menu items at Panera Bread, which is popular with millennials, is packed with calories. Speaking as a health-aware person, that doesn’t win any points. But it is quality in taste, and that’s something. Also, it doesn’t make sense to demonize an entire franchise based on it being “unhealthy.” This year a science teacher lost 37 pounds by eating only food from McDonalds, because there are some decent food options. Is this total hype? Of course. But the point is that health is based on people making good decisions, not avoiding certain restaurants. However, not all of the cleaned-up food options are equal. They created “the McWrap, a chicken concoction with fresh vegetables that was supposed to challenge Subway.” I tried it and was supremely disappointed. I could trick myself into thinking it was “healthy enough,” but the taste buds aren’t as easily fooled. In order to succeed with the younger generation, McDonald’s will have to convince millennials it has quality food. Even for millennials perception is still reality. Even just healthy-ish will do, if it also seems quality, though our waistlines may protest when we hit middle age. Global connection: Emphasizing McDonald’s the global presence could be a good way to relate with millennials. They are found all over the world except in very exclusive areas like The Vatican, and North Korea. Openness and inclusiveness are values that could be played up. I haven’t traveled abroad extensively, but one trip included Paris where McDonald’s was always packed. By adding international menu items, and focusing on McDonald’s thriving global presence could be a way of connecting millennials to a greater context. And as digital natives they are used to that connected-to-the-world feeling. Also, I’m not for suburban sprawl, but gentrification has it’s pros and cons. “We live in a gilded age of inequality where decrepit homeless shelters and housing developments stand in the neglected shadow of gleaming multimillion-dollar condos,” [Letitia James] cried, making it clear that she would love to fix up the first two and slam the brakes on the third. In this moral universe, gentrification is the social equivalent of secondhand smoke, drifting across class lines. According to Justin Davidson of New York Mag, “[gentrification is] an ugly word, a term of outrage” but “can be either a toxin or a balm.” It can help or hurt, but one toxin includes the anti-millennial value of exclusivity. So just marinate this thought for a second: McDonald’s is located I over 119 countries, and has always reached across socio-economic borders. Globally, people may not have a hankering for perfectly manicured mustaches, but the the golden arches are universal. Calories and convenience aside, one of the best ways to really get to know any neighborhood, whether it’s inner-city, suburban, or overseas, is to go to McDonald’s. Nostalgia: This seems to be a kicker for many millennials. And I don’t care about the Instagram criticisms. My inner hippie says these criticisms are just The Man annoyed that social media is helping people enjoy moments for free, rather spending money on impulse buys prompted by clever advertisements. Anyway, about 5 years ago, on a whim my husband and I were like “hey it’s like 11 at night but let’s get a bacon cheeseburger at Wendy’s! !” Like we were back in college. We did it, and it was totally disgusting and we couldn’t finish them. So the sentimentality is there, but like I already stated, the food has to be edible. Admit it millennials, most of us grew up going to McDonald’s. A throwback to a simpler time I think really resonates with this generation. meh… decently good. but at least honest. Honesty and Transparency: This seems to be millennial values in determining brand loyalty. Iconic brands like Tide, Levi’s, Coca-Cola, Ralph Lauren, Gap, and more “are going to suffer a precipitous decline in relevance, in sales, and share of market; or drop dead, at the very least,” retail expert Robin Lewis writes on his blog. Though I think there is a chance for Gap, through campaigns like Dress Normal (easy and direct, right?) others I’m less sure about. For instance, Coca-Cola presented some products as maybe healthier than they actually are. Here’s a long rant about Coca-Cola’s dishonest advertising approach by this guy on the blog Humans Are Not Broken. Basically, they sort of framed themselves as part of the solution in the health-conscious movement, while diverting our attention from their role in aiding the obesity epidemic. But Coca-Cola has done a good job with more practical strategies like offering smaller portion sizes, and hopping onto the SodaStream bandwagon by collaborating with Keurig to create a soda machine which is a way healthier option. But back to McDonald’s. I think they have come a long way in offering honestly decent menu items like the aforementioned apple slices and milk, and also salads. Whether you agree with my opinions on McDonald’s or not I think it’s fair to say that Millennials value transparency and quality (or at least the perception of it.) They are also nostalgic and connected bunch. Growing up in a world with too many mirages, for a millennial the proof is in the pudding. If it doesn’t deliver what it says it does that’s a huge fail for millennials. If these millennial values are kept in mind, even McDonald’s has a chance at winning them over.